Displaced and disgruntled students whose lives were disrupted by a lack of adequate living spaces last year will be pleased to learn that there will be no such crisis this year. 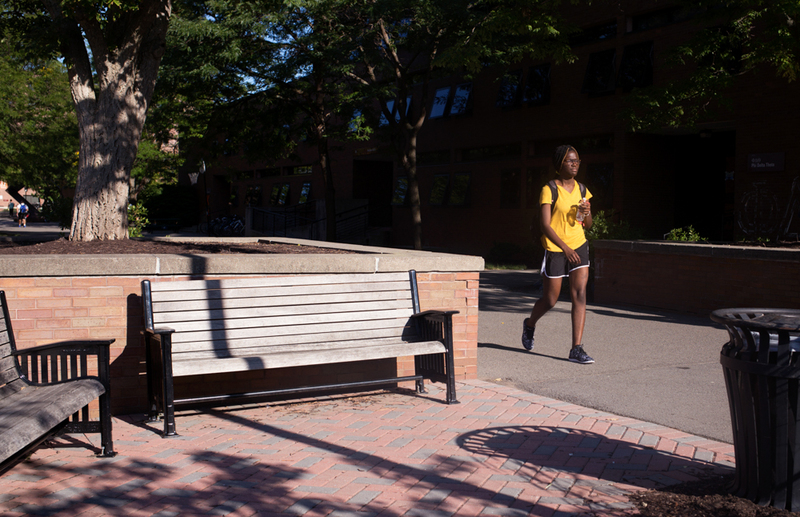 Last year, the amount of students enrolled exceeded RIT's housing capacity. This resulted in 21 lounge spaces being converted into dorms for 70 students that needed to be moved from temporary housing at the Radisson. The student body loudly voiced their displeasure, resulting in a large open forum to discuss the situation. For this year's class, Undergraduate Admissions needed to ensure that a similar situation did not occur. "The big goal was 'make sure we enroll a smaller class.' "
"The big goal was 'make sure we enroll a smaller class,' " said Daniel Shelley, associate vice president and director of Undergraduate Admissions. Shelley emphasized how difficult his job can be. When enrolling a class, Admissions has 55 different targets to meet, including numbers for each college, department and a few programs. It is not just a matter of accepting the right amount of students, as some will decline the acceptance. While students will not complain if the university has a smaller than expected class, there are still problems that happen behind the scenes, including a smaller than expected income from tuition. With a class larger than the goal, a situation such as one that happened last year occurs. The freshmen class of 2014 was approximately 2700 students, which was below the set goal. Last year, according to Shelley, the class totaled 2905 students. This year will be similar to 2014, at just below 2700 students. "The housing process should be smooth and roomier," said Shelley. The difficulty with this process is the unpredictability of human nature. Admissions uses past statistics and a complex model to estimate how likely a student is to choose to attend. However, this model needs to be updated as new information is available. "Our data continues to change ... it takes a long time for data to settle," said Shelley. "It takes a long time for data to settle." A large part of the unpredictability comes from the fact that more students want to come to RIT. "The demand in RIT continues to grow," said Shelley. This spells good news to those who will be receiving a degree from RIT, because it indicates an increase in the value of our education. Shelley says that this was a good year for under-enrollment because it balances out with last year. "Overall, the undergraduate enrollment for this fall should be healthy," said Shelley. "The undergraduate enrollment for this fall should be healthy."